I have a new obsession. Cruise documentaries and there seem to be quite a few of those on at the moment, not least Jane McDonald’s Cruising which often appears on Channel 5. There is something magnificent about those enormous, gleaming white ships with their promise of non-stop entertainment – and food. If, like me, you’ve never booked a cruise before, here are some of the things you need to consider and some things you really don’t need to worry about when you book a cruise. There are so many types of cruise, from sea to river cruises through to combination packages where you can combine a stay with a cruise. Before you book a cruise, you need to decide how you want to spend your time on board. Do you want to spend your time sightseeing at the beautiful port cities or would you prefer to mainly laze on deck or pass the day enjoying one of the many on board activities or watching a movie or show? Cruises can be anything from 2 nights up to a year depending on your budget but a 7 night cruise is probably a good starting point. You can wake up somewhere new each day but bear in mind that on a port heavy cruise, you’ll spend most of your time on land. Some longer distance cruises though will entail several days at sea. Think about how you will reach your ship. Will you be happy to use an airline to reach your departure port, or would you prefer to start your cruise in the UK, with the benefits of no luggage limit and no risk of bags going missing on a flight? You can sail from Dover or Southampton, although other ports such as Belfast, Edinburgh, Newcastle and Liverpool may be used. 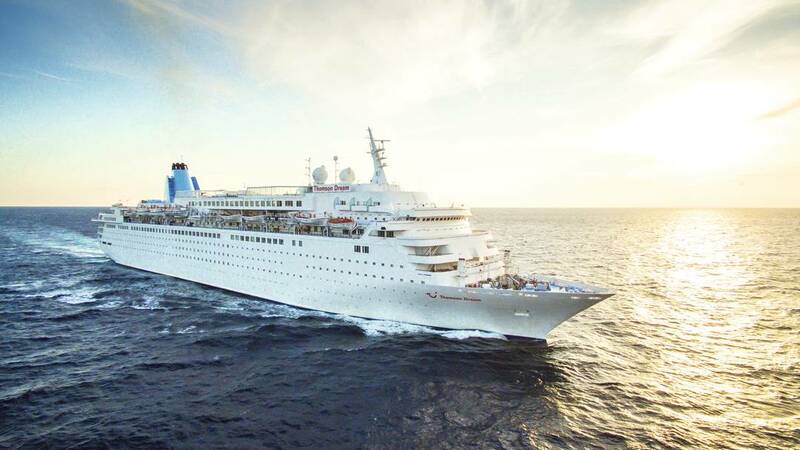 If you chose a larger ship, you’ll find lots of facilities and activities such as toddler clubs, gyms, spas, casinos, bingo and West-End style shows. On the larger ships you can dine at any of the main restaurants at different times and you won’t need to dress for dinner (although I’d quite like that!). A smaller ship may offer a more low key atmosphere and may be able to reach ports that the larger ships can’t. These may be more peaceful and you won’t have the long queues to disembark that are typical on the larger ships. And don’t forget, if you book your own excursions and are late back to the ship, it doesn’t have to wait for you and you may find your ship has sailed! It’s said that, on average, you can return home up to a stone heavier due to all the fabulous food on offer. On board you’ll find cruise ships offer a variety of dining options. Typically, the bigger ships will have more options, but even the smallest ships tend to have more than one restaurant. 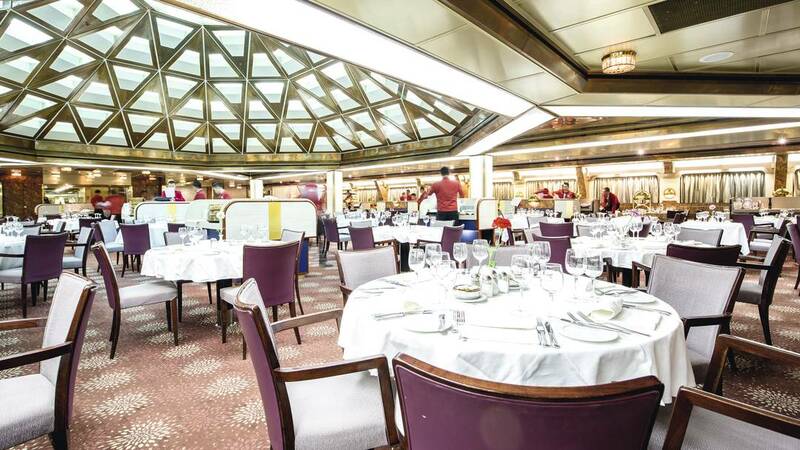 Usually cruise ships have a main dining room which will be a large seated venue where you can order from a menu of American and Continental foods. A dress code may sometimes be enforced at dinner and you will probably have to share a table with other passengers. There may be a buffet restaurant near the pool, where the dress code is more casual and you can help yourself to pre-prepared food. Many ships also have specialty restaurants which are smaller and more intimate if you’re just after a quiet table for two. You’ll find steakhouses, French bistros, Italian trattoria or Japanese sushi restaurants. And of course there will be outdoor grills and BBQ spots, pizzerias, hot dog stands or bakeries. Some ships have exclusive dining venues, only accessible to passengers in suites or spa cabins. There are several types of accommodation and these vary depending on your requirements and your budget. Interior cabins are perfectly comfortable but have no windows. Oceanview cabins have a porthole window. Suites – these can range from mini-suites to larger suites with multiple living spaces, almost always with a balcony. Suites are the best choice if you are travelling with your family. Then there’s the location of your cabin on the ship. Cabins in the front of the ship (forward) and back of the ship (aft) are often less expensive as they feel the motion of the ocean the most. Mid-ship cabins are the most stable and ideal for those prone to seasickness. And talking of which, what about seasickness? Even if you are prone to seasickness (my number one excuse for not booking a cruise to date), there are plenty of river cruises. In any case, modern ships are built with stabilizers to minimize rocking. You should also think about the time of year you plan to travel. The Mediterranean is a lot rougher in autumn and winter. Alaska’s Inside Passage is quite calm, though the open sea up north gets rougher in September; and the Caribbean can get choppy during hurricane season (June 1 through November 30, officially). There are many kinds of cruise, from World cruises to themed cruises for art, writing, personal development – you name it there’s a cruise for it. Traditionally, of course, cruising has the reputation of being an expensive way to travel in luxury. Today though there are so many package deals on offer you are sure to find something to suit. 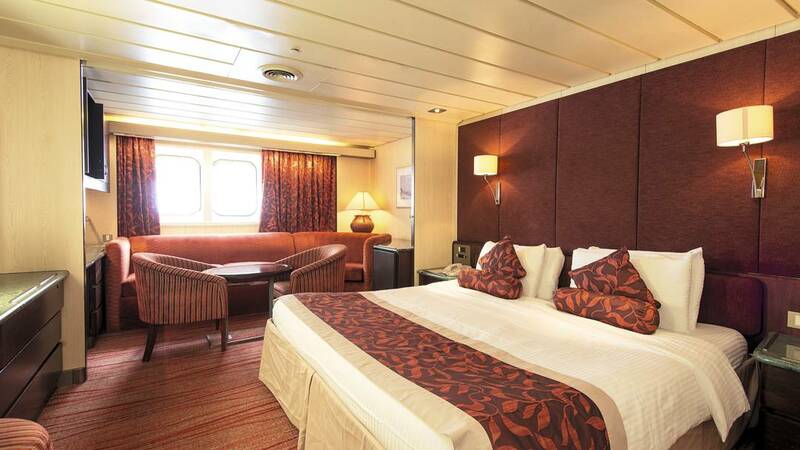 Many cruisers opt for an all inclusive cruise which includes accommodation, full board dining, flights, transfers and tips with an inside cabin. although the cabin type can be changed at the time of booking and a surcharge payable to upgrade. 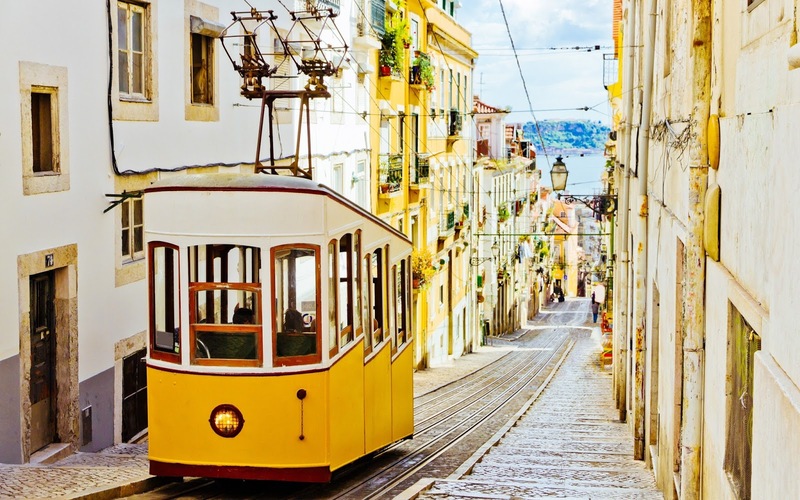 You’ll still need to budget for things like spa treatments, drinks, bingo, fitness classes, internet use and, of course, your excursions, souvenirs and refreshments on land. When you book a cruisle, don’t forget you will need travel insurance and it may be worth considering specialist cruise cover policies, especially if you cruising for longer than 2 months. Have you been on a cruise? What would be your top tips? "Hangover Cures – I Will Survive!" "Want This Year To Be YOUR Year? Tell Yourself A Better Story."